For some Long Island downtowns, there’s no place to go but up. At least that’s the thinking behind some of the most successful of the Island’s emerging community centers, where commercial developments are getting taller. Height is hot with planners these days, especially those designing areas surrounding mass transit stations. The need to put people in downtown areas has created unprecedented opportunity for builders of multifamily and mixed-use buildings that incorporate housing. Locales like Mineola and Glen Cove are allowing new residential projects as tall as nine and 10 stories with densities as high as 80 units per acre, once unheard of in picket-fence focused Long Island. Michael White, who heads the Long Island Regional Planning Council, said municipalities must accommodate greater housing density in their downtowns to cut off sprawl and create vibrant village centers. He suggested tax incentives for building housing around transit centers, where people can walk to whatever they need. “We have to finally break the Robert Moses legacy in which the car was king,” White said. For downtowns that are still struggling, such as Baldwin and Smithtown, there’s little activity after dark because there’s plenty of sprawl and few residents who live within walking distance of poorly defined community centers. Development in those communities, as a result, has gone flat. Here’s a look at some downtowns that work, some that don’t and a few that seem to be on their way back. Mayor Jack Martins’ innovative zoning that fast-tracks projects aimed at putting more housing downtown has re-energized the village. Its master plan encourages developers by providing enough density to make buildings profitable, while preserving the character of the neighborhood. As a result, plans for several condominium projects are under way, including a nine-story, 285-unit development by Polimeni International on Old Country Road that won unanimous approval from a progressive village board. Mineola enjoys a steady employer in Winthrop-University Hospital and a daytime population of about 35,000. Martins said he hopes to make village residents out of more of those folks. 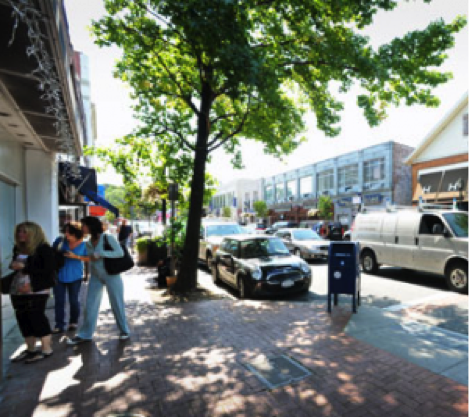 Since Avalon Bay Communities built two rental complexes here, Glen Cove’s downtown merchants have seen a noticeable increase in business, according to Mayor Ralph Suozzi. And more housing for the city is on the way. Flushing-based Livingston Development Group is building 226 condos to replace a blighted portion of Glen Cove Avenue, and Glen Isle Partners is close to winning approvals for its proposed mixed-use development on a spruced-up waterfront with 10-story buildings and more than 800 condos. While some villages hire planners to develop a comprehensive master plan, Patchogue officials skipped that time-consuming exercise. Instead, Mayor Paul Pontieri and his staff went right to work trying to lure redevelopment and transform a tired and economically depressed Main Street into a vibrant downtown. It’s working. Pontieri gives credit to Pulte Homes and its pioneering Copper Beech housing project for bringing people back to Patchogue’s business district. Besides new housing, a renovated Patchogue Theatre for the Performing Arts brought an estimated 150,000 people to Main Street in 2009, and many of them became patrons of the village’s growing crop of restaurants and nightspots. Groundbreaking recently took place for 45 work/live apartments for artists, as well as Tritec Deveopment Group’s hotel, office, residential and retail redevelopment on West Main, part of which is scheduled to open this month. In the post-Sweezey’s era, Pontieri is eager to move forward, especially after the brutal murder of an immigrant from Ecuador on village streets 18 months ago. Other Long Island downtowns that work include Bay Shore, Huntington and Great Neck Plaza, where a mix of housing is served by a vibrant, walkable commercial district. Then there are several communities that are working on constructive redevelopments for their downtowns. Some are taking baby steps. It has the Island’s most active LIRR station, but most of the commuters who use it fly through Hicksville’s streets to find parking and get to their train. Smart-growth advocates are trying to get people to slow down on main thoroughfares like Broadway and Newbridge Road to get a taste of the diverse neighborhood that is springing up in the shadow of the railroad’s cement trestles. Lionel Chitty, from the Hicksville Chamber of Commerce, said his group has met with Metropolitan Transit Authority and state Department of Transportation officials about “traffic-calming measures” for the area around the station. Chitty said streetscape improvements are on the drawing board and a farmers market that will operate three days a week during the summer months is on the way. “We’re looking for quick wins right now,” Chitty said. When they are ready, developers will be able to take advantage of existing Town of Oyster Bay zoning around Hicksville’s station area that allows for buildings up to five stories high. The Village of East Rockaway began rebuilding its waterfront a decade ago. Although that project was finished four years ago, there is still no village center and the industrial area around the East Rockaway train station has continued to languish. But change is afoot. Mayor Ed Sieban said the redevelopment effort that began at the waterfront is moving north, and will soon include some housing, as much as 40 units per acre, near the LIRR station. The village will look for input from residents on the plan next month. “Things are starting to click,” Sieban said. Mired in a master development plan that has accomplished little, new Supervisor Sean Walter has decided to sell developers via a youthful and enthusiastic economic development staff that’s armed with fistfuls of tax abatements for those willing to take the plunge. Main Street merchants, who’ve waited a long time for a revival of the gateway to the East End, will soon see a new Hyatt hotel next to the Atlantis Marine World aquarium and a mixed-use development called Summer Wind Square a few blocks down the street. The 45,000-square-foot, $10 million project from Eastern Property Investor Consultants includes first-floor retail space and 52 units of affordable housing on four stories above. Eric Alexander, executive director of Vision Long Island, said Riverhead’s downtown has a new civic association and a lot of support for reviving a once-active art and music scene. “There’s a lot under way here,” Alexander said. Other downtowns making strides to redevelop and attract investment include Farmingdale, Wyandanch, Freeport and Elmont. Some Long Island communities have so lost their way that visitors would be stumped if asked to even point out a village center. (Hint: A strip mall does not count.) The following are among the worst offenders. Is a shopping center parking lot really the right site for a new police precinct? Maybe not, but there appear to be few alternatives on busy Grand Avenue, where cars dart in and out of the myriad of strip malls and fast food joints that dominate the landscape here. Walkability? Sure, if you mean walking from the store to your parking spot. Residents got a charge when the LIRR electrified the main line to Ronkonkoma. But despite a sparkling parking garage and train station renovated a few years ago, nothing much else has happened here since. Another place where time has stood still, Hempstead has all the ingredients to become a downtown that works, but its renaissance remains a distant hope. It’s not for lack of trying. Hempstead Village Mayor Wayne Hall pushed hard to get approval for a $2 billion plan to redevelop 26 acres into housing, office and retail space and build a performing arts center, only to be derailed by political infighting. Developer Wilbur Breslin was the last pioneer to turn blight into useful space in Hempstead, and that was nearly a decade ago.